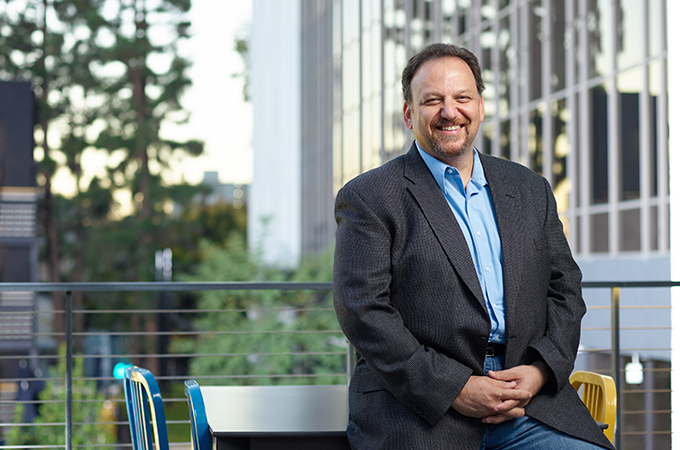 Deputy chief engineer for solar system exploration at the NASA Jet Propulsion Laboratory (JPL), Howard Eisen ’12 is responsible for organizing and executing space missions to Saturn and Mars. After 30 years at the organization, he realized he was lacking business knowledge required for larger projects, so he looked to the University of Redlands. In addition to influencing his work life, Eisen brought experiences from the program home. By going back to school, he wanted to show his kids that lifelong learning was an important part of the family’s shared values. “We developed some competition, where they always wanted to know if I did well on a test or if my grades were better than theirs,” he says with a laugh. Balancing work, school, and a home life was simple, Eisen says. Going to class just one day a week meant that the other nights were free for catching up on his work or spending time with his family. For class projects, he was able to meet with classmates in the evenings or during lunch hours. “There was plenty of time to make everything fit in,” he says.